Since I have a full time job as a primary school teacher my life is all about: PLANNING! Especially when it comes to my meals and dinners. In the weekend I find myself a comfy spot at the couch with some of my favorite cookbooks and make a schedule for the biggest part of the week. One thing I like to make are grilled and marinated veggies. They are awesome on bread or crackers, between a galette/pancake or in a salad, or just the veggies as a ‘tapas-dish’. You can make a bigger batch and store it in the frigde to enjoy those healthy veggies througout the week! And you’ll need some herbs, just choose whatever you like! I used Garlic and Coriander for example. First, dice the veggies into smaller pieces and grill them in a grilling pan until they are cooked and have some grilling marks. Let the veggies cool down. Mix some extra virgin olive oil with the herbs of your choice. 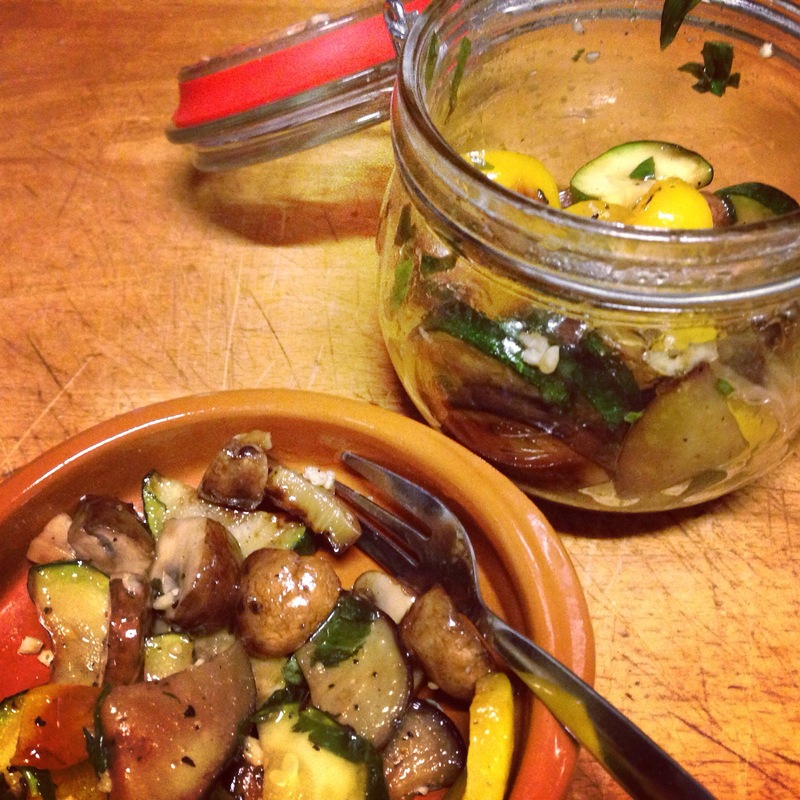 Store the grilled veggies in a jar when they are cooled down and pour the herb infused olive oil into the jar as well. Store in the fridge. 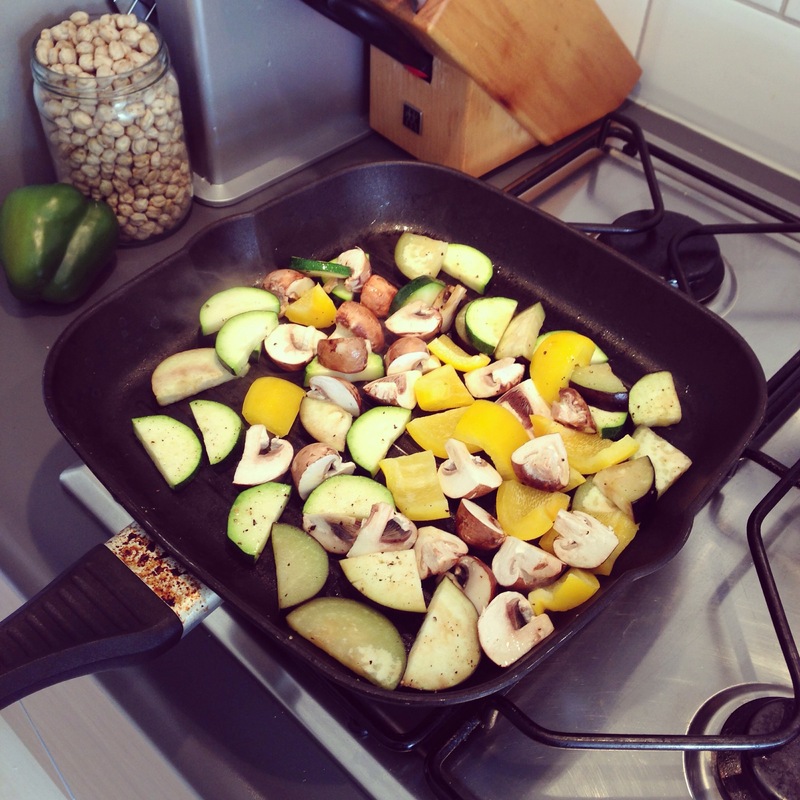 Posted in Diner, Lunch, recipes, VeganTagged comfortfood, fit, food, glutenfree, glutenvrij, healthy, healthy food, healthy lifestyle, herbs, lunch, natural, recipe, salad, snack, vegan, vegetable, vegetables, vegetarian, veggie, veggies, zuivelvrijBookmark the permalink.